this nice text I found talks about social networkings and the internet with its pros and cons. The practice is a True- False excer. 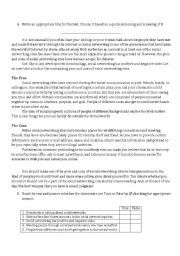 and also some questions about the text but based on the stsï¿½ personal facts! hope you like it!!! incentives to print and paste on sts books-workbooks-notebooks-ws-tests-homeworks-etc.. they feel very happy when you compliment their work and when they see they can do it! A WS i made for my students to practice Present Continuous! 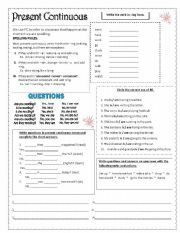 This is like the fourth time i upload this worksheet and the moderators take it away ´cause it doesn´t have any activities, but today im gonna share activities for this one! 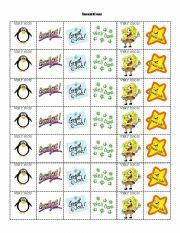 :D go to this link: http://www.eslprintables.com/printable.asp?id=550367#thetop and have your sts practicing the time!! hope you guys like it!!! 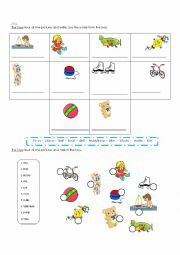 five different exercises in three pages in which sts practice the verb BE and some other simple present tenses verbs along with the topic jobs and occupations!! my sts loved it! a rainbow full of colors!!! This is a Poster I made for my sts to learn the colors! I found a beautiful song that my preschoolers love, it´s on youtube, follow the link: http://www.youtube.com/watch?v=tRNy2i75tCc Hope you sts love it as much as mine!!! a Ws about toys!! hope you and your sts like it!! 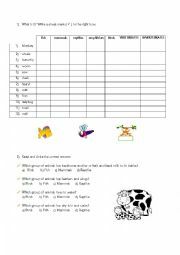 a two activities WS about animal groups .. 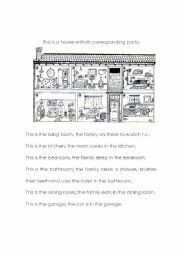 This is a reading that focuses on the different rooms of a house. 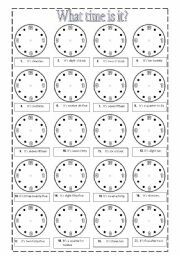 The teacher might also use it for having sts matching each sentence with the room it descibes. this ppt is uselful for teaching our sts different adjectives for describing people: thin, handsome, pretty, talkative, shy, tall, short... :) have fun!! this PPT i made is to practice sts skills to follow directions from the teacher.. hope you like it and find it very useful! this ppt i made for my sts about materials so that they could relate the material with a real thing in real life! hope your sts like it! An easy PPT about daily acivities in which sts practice the present continuous!!! an easy ppt to show our sts the colors!! !